Donkey, deer and beaver went for a swim in the lake at night. The water was cold and deep. They splashed around and dove down, trying to find fish. “There's something in the water and it likes to bite. Let's go to shore and get out of this lake,” Deer said. 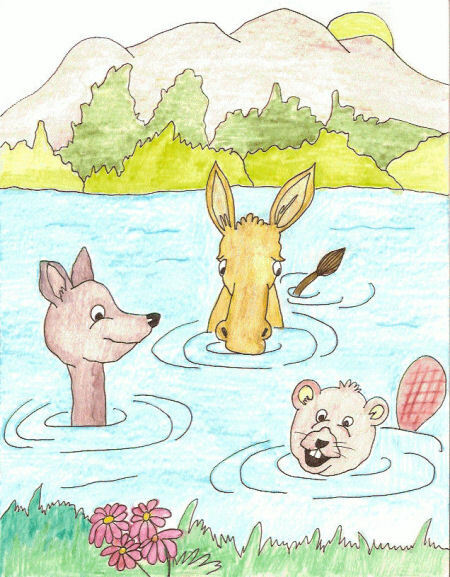 Donkey, Beaver and Deer never did find out what was in the lake, but whenever Bear saw the three of them together, he chuckled to himself.